Catch a ride on the SugarShuttle to thru-hike from Sugarloaf to Hood Mt. Pythian lot. Shuttle departs on the hour from Sugarloaf (first), and on the half-hour from Pythian Road. Make a reservation, ride to the trail’s other end, hike back. Or vice-versa! You will cross some of Sonoma County’s most important creeks–including critical steelhead habitat. This 7.4-mile one-way hike includes 2,300 feet of climbing, and takes ~3.5-4 hours. Bring sunscreen, snacks, and lots of water. Map: https://www.sonomaecologycenter.org/wp-content/uploads/2018/03/Shuttle_Sugarloaf_HoodMtn_Map.pdf Suggested donation: $10/rider. No dogs. 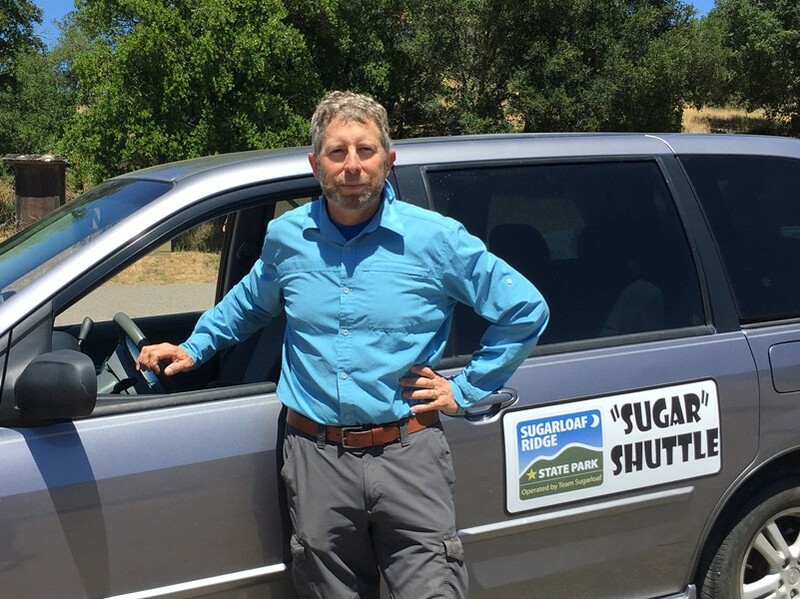 Shuttle operated by Team Sugarloaf in partnership with Sonoma County Regional Parks.